At the same time though, honey manages to be pretty controversial. For one thing, it is still a source of sugar and some people even consider honey to be just another source of empty calories. So, is it? Is honey just calories that we probably shouldn’t be eating or does it offer some health benefits? In reality, honey actually contains some pretty important nutrients and it can be surprisingly good for our health. But, a lot of this comes down to the honey you choose. There might not be a single best type of honey but there is a range of different varieties and they differ considerably in what they have to offer. You might already know some types of honey that can be beneficial for health – particularly Manuka honey. But, what about other types, like raw honey, kanuka and tualang? If we’re going to talk about the best type of honey for health, we have to briefly look at honey itself. For one thing, honey has a long history and it’s often associated with healing medicine. In fact, up to the 17th century, honey was the main sweetener used in cooking and baking. The qualities of honey have also been strongly revered throughout history and is even referred to as the food of the gods. 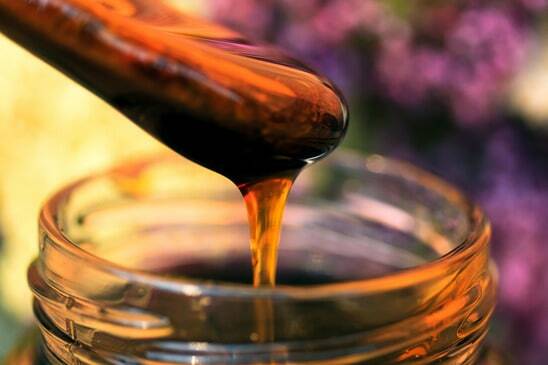 As most of us probably know, honey is a food created by bees using the nectar gathered from flowers. Many different species of bee make honey, including honey bees and honey wasps. However, the honey that is generally consumed and that beekeepers collect is produced by honey bees. These are any bees from the genus Apis. Bees go from one flower to another collecting nectar, which is a sweet sugary substance. The bees then create honey by converting the nectar through a process that involves both evaporation and regurgitation. This might make the process sound a little unappealing, but it isn’t really, especially as bees store honey in a separate sac, meaning that it never undergoes any digestion. All of this is important, because the nectar that bees collect differs from one species to another. Because of this, many of the qualities of honey also change depending on the species of flower that the honey was sourced from. At the same time, the process of gathering nectar means that pollen from the plants gets caught on the bee and transferred between different flowers (this is how many species of plant reproduce). Again, this pollen is specific to the species and some of it does also make it into the honey. This pollen plays a key role in identifying what flowers were involved in a specific batch of honey. Additionally, some people even argue that the pollen may offer some health benefits. Some processing methods for honey will filter out all of the pollen from honey along with other particles. In contrast, most companies that make raw honey choose not to filter the pollen out. The composition of honey varies considerably depending on variety, but in general, honey is comprised largely of sugars. The most significant major sugars in honey are dextrose and levulose, but 22 different sugars have also been found (1). A portion of honey is also water. The water content varies significantly and can be anywhere from 13% to 25% depending on the variety, quality and even the specific batch (2). The amount of nutrients in honey is actually relatively low. Instead, most of the health benefits are associated with natural compounds in the honey and many of those are still largely unknown or unstudied. Honeydew honey does tend to have more minerals than pollen honey and dark honey does tend to have more minerals than light honey. However, ultimately honey is not a particularly good source of minerals. One of the key things that honey does have is enzymes. The enzymes in honey are thought to play a key role in its function and the health benefits of honey. This is one thing that makes honey different than other sweeteners (3). These enzymes can differ significantly between different honey varieties (4). At the same time, honey does contain a number of phenolic compounds. This may play a role in helping to identify which plants specific honey comes from and may also offer some health benefits (5). All honey is not equal. Honey actually comes in a wide range of varieties, and these varieties can have completely different flavor profiles and colors as well. At the same time, the compounds in honey also differ across varieties (6). These differences come from the flowers that the bees are pollinating. Different flowers result in unique flavors to the honey. This is why many of the varieties of honey are marked with the flower that they come from, such as clover, orange blossom or wildflower. The differences in flavor can be subtle at first, especially if you are not used to looking for them. The best way to tell is to have the honey on something with little flavor, like a cracker or plain toast, or simply to try the honey on its own straight from the jar. Varieties of honey are also particularly relevant when you are looking at health benefits of honey – as varieties can have different profiles of nutrients. There are more than 300 different varieties of honey produced in the United States alone and many other varieties produced in other parts of the world. This variety is one of the main reasons that finding the best type of honey for health is so difficult. I don’t have the space to list all of them here, but I will talk about some of the key varieties and their distinctive flavors. Alfalfa: A light sweet honey that works well for everyday use. Blueberry: A well-rounded flavor (note, the honey doesn’t contain blueberry flavoring). Clover: Considered the classic honey. Has a light, sweet taste. Heather: A pungent variety that pairs well with smoky tasting foods. Fireweed: A very light and very sweet honey. Macadamia Nut: This honey is both sweet and nutty. 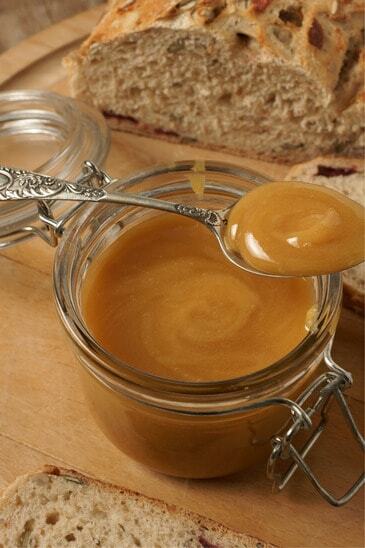 Sourwood: A buttery and caramel-like honey which works very well on baked products. Wildflower: A light and fruity honey that still has depth of flavor. ​For example, the honey below is the variety manuka nut blossom and is an interesting option if you want monofloral raw honey. Monofloral honey tends to vary in price depending on the specific variety involved. This is often related to the rarity of the plants needed for the honey and how difficult it is to ensure that the honey only comes from that single species. I also want to talk about one specific variety of honey called manuka honey. Manuka honey is produced from the manuka tree (Leptospermum scoparium), which is native to New Zealand and to southeast Australia. Of all the varieties of honey, manuka is the one that most people associate with health benefits. In fact, this association is so strong that some companies produce and grade manuka based on its level of bioactivity. Manuka honey is one of the darker varieties of honey and it has a very distinctive taste. If you are used to the light and sweet breakfast honey that are common in the United States trying manuka for the first time might be a bit of a shock. Manuka honey is an aromatic type of honey and includes tastes of heather, damp earth and herbs. It also tends to taste less sweet than many other types of honey and has a slightly bitter aftertaste, which also takes some getting used to. One of the key reasons that manuka honey is considered beneficial for health is its antibacterial properties. This suggests that the honey may be able to reduce bacterial counts in humans. The sources of the antimicrobial properties of manuka honey are still being determined. The active compound in the honey is methylglyoxal, which is associated with some of the antimicrobial activity (7). However, even when this compound is neutralized, manuka honey still contains significant antimicrobial properties. This suggests that methylglyoxal is not the key factor driving the antimicrobial action of the honey (8). A study on this topic looked at the impact of manuka honey on levels of Streptococcus mutans present in the saliva of children. In the study, manuka honey was directly placed on the teeth and tongue of participants in the study group and held there for one minute. After that point saliva and honey were spat back out and children were told not to rinse their mouths, eat or drink for 30 minutes. The control group for the study instead engaged in a normal behavior of brushing their teeth twice per day. The authors found that the children who had manuka had significantly lower levels of the bacteria than children who did not (9). Another study compared the prevalence of oral mucositis, which is a particularly serious side effect of chemotherapy. However, in this study, the honey was not effective at impacting the mucositis and patients did not tolerate it well (10). Other studies have also supported the potential of manuka honey to combat a range of different types of bacteria (11,12). Another area that manuka honey is often associated with is wound healing (13). One study looked at this in five patients using manuka honey dressings and ointment. The authors found that the treatment was not associated with any adverse impacts and suggested that the use of manuka honey can act as a safe treatment for promoting would healing (14). A similar study looked at the use of manuka in dressings for sinus wounds. In this study also, the authors noted that manuka appeared safe and effective, although there was one case of an adverse event (15). As you can see, there is still some debate about just how beneficial manuka honey is and studies on manuka honey benefits for health vary considerably in their outcomes. One of the challenges is that most studies on manuka honey have been conducted with relatively small sample sizes. Additionally, much of the research on honey and health has focused on honey in general, rather than manuka specifically. As such, more extensive research is needed before we can truly know whether manuka honey lives up to the hype that surrounds it. Manuka is frequently marketed to consumers as a health product and this marketing often includes an estimation of the activity of the honey, either as an antibacterial agent or in terms of antioxidant properties. This approach is contentious at best, because we still do not fully understand what it is about manuka honey that gives it the health benefits that it offers. As such, any measurement of these activities is likely to be ineffective. One example of this is the MGO scale. The MGO scale is one of two scales used to measure the strength of manuka honey. This scale is specifically related to the amount of methylglyoxal in the honey. The scale is primarily used by the company Manuka Health New Zealand (16). However, there is growing recognition that the MGO is not an effective standard, because much of the activity of manuka honey occurs even after the methylglyoxal has been disabled (17). Following this discovery, a second measure was developed known as the UMF, which stands for Unique Manuka Factor. The UMF standard has become more widely used and is now considered to be the industry standard. UMF measures the antibacterial level of the honey in relation to a phenol standard. This approach means that if manuka honey has a UMF rating of 20+ then its antibacterial level is equivalent to a solution that contains 20% phenol. In general, a UNF rating of between 12 and 15 is considered effective treatment against a range of resistant bacteria. This means that out of the two you are better off focusing on honey with a UMF rather than an MGO rating, and a higher UMF rating will be associated with greater antimicrobial properties. However, even then it is difficult to tell how accurate this measure is in terms of the health benefits of manuka honey for humans. So, a higher UMF rating may not necessarily mean that the honey has increased health benefits. Nevertheless, it is one of the few measures out there that comes close to measuring the health benefits of honey and showing which honey is likely to offer more benefits. When it comes to manuka, I do want to briefly take note of the spelling. In America and online in general you will often see the honey name spelled as manuka. However, the word itself actually comes from Māori and is more correctly written as mānuka. In fact, most companies that produce honey also use the non-accented version. That even includes companies from New Zealand. When it comes to health benefits, manuka honey is often considered in a class of its own. This is largely due to the antimicrobial impacts of the honey. Most honey has some degree of antimicrobial activity and this activity comes from the action of hydrogen peroxide. This is also true of manuka honey, but the difference is that manuka honey also has antimicrobial action that is present even when the activity of hydrogen peroxide is blocked (18). This suggests that medical grade manuka honey may have the ability to fight antibiotic-resistant bacteria in humans that other honey varieties are not able to fight (19). As a variety of honey, manuka is very well known. This is because of its health benefits but also because of the marketing that has surrounded it. Because of this, many people aren’t aware of a second variety of honey called kanuka. 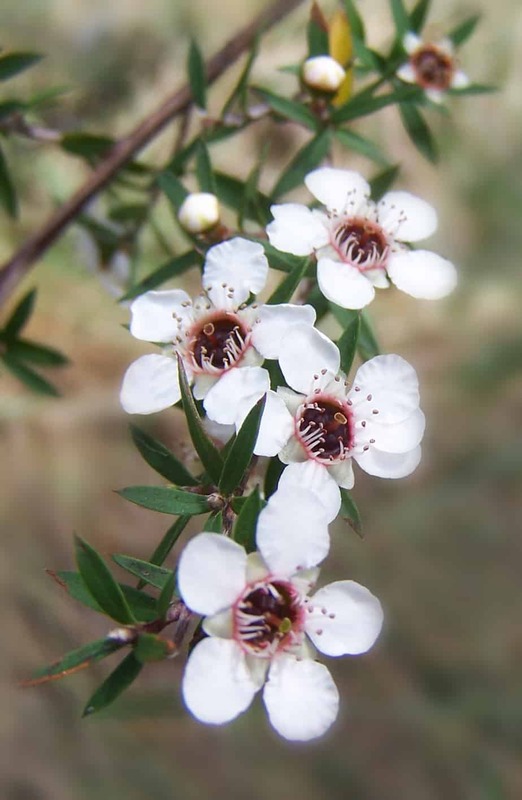 Manuka and kanuka plants are very similar to one another and they are actually closely related. Kanuka also has the same antibacterial effects that manuka offers, making it as important for health (20). Kanuka honey is also lighter than manuka and many people find that it has a nicer taste. In particular, it tastes a little bit like butterscotch and doesn’t have the bitter aftertaste that manuka has. However, kanuka is relatively unheard of outside New Zealand and is not exported frequently. Nevertheless, there is growing interest in the product and its potential health benefits, so it may find its way into American markets in the future (21). A second variety of honey that has been associated with above average health benefits is tualang honey. This honey is a multifloral variety from the jungle in Malaysia and has been the subject of a number of studies concerning health benefits. In particular, the honey has been associated with significant antioxidant properties (22). The honey has also been associated with improvements in cardiovascular risk factors, blood pressure and improvements to sperm motility (2﻿3). An animal study also indicated that the honey may have an inhibitory impact on breast cancer development (24). However, it is also important to note that most research has focused on honey itself rather than specific honey varieties. Because of this, we know relatively little about potential health benefits associated with many of the honey types available. This means that there may be other powerful types of honey out there that we simply don’t know about. This is why we can’t be confident about the single best type of honey for health in terms of honey varieties. Nevertheless, one important thing to consider when it comes to honey and health is the processing. The majority of honey that you see sold in stores has been subject to significant processing. This includes the exposure to high heat (pasteurization) as well as filtration processes. In fact, the processing to honey can be so severe that the end product doesn’t contain any pollen and lacks many of the vitamins, minerals and enzymes that honey should contain. This honey ends up being little more than sugar and doesn’t offer much in the way of health benefits. However, raw honey is an entirely different story. In general, raw honey goes through minimal processing. Most of this processing involves minimal straining to get out beeswax and debris and slight heating to make it easier to bottle the honey. Because of this, raw honey still contains the nutrients that the honeybees collected in the first place. One of the challenges with raw versus processed honey is that physically they can often look the same. The texture and color of honey vary significantly depending on the plants that the nectar was from as well as factors like when the honey was harvested and the specific location. This means that you cannot work out whether honey is raw or processed from sight alone. In fact, even the creamy honey isn’t necessarily processed, as this type of honey forms as the result of crystallization, which is a natural process. Because of this, the best way to find raw honey is simply to look out for the term on the packaging. However, there is no standard certification or regulation for the term raw in relation to honey, so it may mean different things depending on who uses it. To be certain that you are actually getting raw honey it is best to pay attention to the manufacturer of the honey. Companies that specialize in raw honey will tend to explain their processes so you can be sure that you are getting the real deal. If you’ve never had raw honey before, the difference in taste can be quite surprising. It depends a little on the variety of raw honey that you have chosen, but in general raw honey tends to have a more complex taste than the standard honey you find in the supermarket. This happens because with raw honey you end up tasting the influence from the flower quite strongly. In contrast, with highly processed honey most of what you taste is simply the sugar. Additionally, with raw honey, the taste you end up with will depend much more on the variety of honey. For example, some honey varieties tend to have a relatively mild taste (typically the lighter colored ones), while other honey varieties have a much deeper taste. In the past, I’ve given raw honey to friends who have never had it before and some of the reactions have been quite amusing. Overall, raw honey does taste much better, but if you’ve never had it before the taste difference might take a little while to get used to. There is a lot of debate about whether raw honey is better for health than processed honey. Many companies selling raw honey claim that this is the case, but this is often because of their own bias and doesn’t tend to be based on scientific evidence. In fact, relatively few studies have been conducted comparing health benefits from raw versus processed honey. This is also a challenging area to study, as the difference is likely to vary depending on the variety of honey and the specific processing methods that were used. One study on the topic looked at the difference for raw versus processed samples of two common Italian varieties of honey: Acacia and Millefiori. Of the two, the Millefiori variety had higher antioxidant properties and the raw variant of the honey had higher levels of antioxidant substances and more variety in the substances present. This suggests that it would be better for health than the processed variety (25). 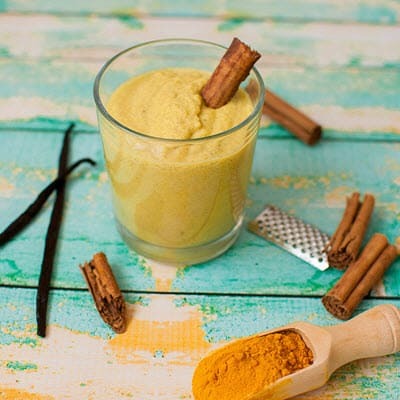 However, a preliminary study on the topic found that for blended honey processing served to increase rather than decrease the level of nutrients and antioxidants (26). I am very wary of the outcomes from the preliminary study because it was funded by the National Honey Board and focused on blended honey. This means that there was significant potential for bias in the research. The study also wasn't really detailed enough to find any real differences. Additionally, the finding that processed honey had higher levels of some nutrients was the result of aggressive filtering approaches using diatomaceous earth. This means that any additional benefits came from the diatomaceous earth rather than the honey itself. Claiming that this process makes processed honey healthier is kind of like claiming that grocery store milk is healthier because it is supplemented with vitamin D, while more natural milk isn’t. Simply put, the supplementation isn’t relevant to any discussion of health benefits. Another examination looked at honey across four different samples. The authors found that heating did decrease the quantity of enzymes in the honey as did straining the honey. Some enzymes were almost completely removed by processing, while others were largely unaffected (27). The authors did also find that processing increased the level of some minerals and antioxidants, probably because of the diatomaceous earth that is often part of processing. However, the authors noted that the large amount of variation between samples made it very difficult to draw accurate conclusions. They concluded that the variation meant that the study did not provide support for either side of the argument. In general, it seems likely that raw honey is better for health. For one thing, with raw honey, you tend to know exactly what you are getting, including what flowers the honey is from. In contrast, most processed honey tends to be blended. In fact, because there is no standard for what constitutes honey, it is very possible for some processed honey to have added ingredients. Additionally, if processed honey is pasteurized (as much of it is), then the pasteurization process will have significant impacts on the health benefits of the honey. Pasteurization, in general, tends to change the chemical composition of foods as it involves heating the product up to high temperatures, which can have negative impacts on some the compounds in the honey. In particular, high temperatures have the ability to denature proteins. This process alters the physical structure of proteins and can result in them no longer being functional. As for the pollen, no one really knows if filtering out the pollen has much of a difference at all. Some sites and companies argue that it does (largely those selling or promoting raw honey), while other sites and companies argue that it doesn’t (largely those selling or promoting processed honey). The amount of pollen in honey is tiny to start off with and honestly, removing it isn’t going to make much of a difference to the nutritional qualities or the health outcomes of honey. In fact, even raw honey producers strain other material out of honey (such as pieces of the honeycomb), so it is largely a matter of definition about whether pollen should be taken out of honey or kept in. While the pollen in honey might not offer any real health benefits, it can still offer an important way of working out how heavily processed honey is. If you are wanting raw honey, then you are looking at honey with pollen. Many people have grown up with the idea that all honey is roughly the same. After all, most of the types of honey that grocery stores sell tend to taste the same, which isn’t surprising as they tend to be heavily processed and frequently involve mixed varieties. When it comes to honey, there is a lot of variation – and this can make choosing the best type of honey pretty difficult. I’ve already shown you that research indicates some key differences in health benefits across the different types of honey. But, I want to show you more about the variations in honey and what you can expect. After all, many people look for the best type of honey for health but you might be equally interested in ending up with honey that tastes good as well, and everyone does have different preferences in that area. In general, there are two key groups of honey based on where the honey comes from. Most people are familiar with blossom honey, which is the type that involves bees and nectar. But, there is also a second type called honeydew honey. This is a type of honey that comes from excretions of some species of insect. The name has nothing to do with the honeydew melon. Instead, the name is probably connected to the way the excretions look (as the image above shows). Most honey does come from the blossoms of flowers, so that will be the focus of our discussion. But, honeydew honey is still significant and it’s worth being aware of this type. The site Honey Traveler offers more details about this type of honey and what you can expect. However, honey can be broken down into two groups in regards to variety. The first of these is multifloral. This means that the honey is created from the nectar of many different types of honey. The taste of multifloral honey tends to depend somewhat on the exact varieties involved and their proportions, but more often than not multiflora honey tends to taste similar across brands. Multifloral honey tends to be less expensive to make and this is why the majority of honey that you see in grocery stores is multifloral. In most cases the manufacturers don’t even identify the specific varieties that went into the honey. The other type of honey is monofloral, where the honey comes from a single variety of flower. This type of honey obtains a distinctive taste from the flowers that the honey is sourced from. Because of this, monofloral honey varieties tend to be very different from one another in both appearance and flavor. Honey is presented in a range of different ways. The most common approach is extracted honey. This is where the honey is extracted from the honeycomb using a centrifuge. This approach results in smooth and clear honey. Another approach is drained honey, where gravity is used in extracting the honey from the honeycomb. This results in a similar outcome. Honey is also sometimes presented in a granulated or crystallized form. This is a natural process and occurs because of the glucose in the honey. Varieties of honey with a high ratio of glucose to fructose will tend to crystallize faster while varieties that have a more fructose will crystallize much slower. For example, Tupelo honey can take years to crystallize while canola honey crystallizes almost immediately. While crystallization effects that appearance of the honey, it has no bearing on how the honey tastes or on its quality. Additionally, you can reverse the crystallization by placing the jar of honey in warm water for an hour or so. In some cases, honey is presented in the beeswax honeycomb. The honeycomb is edible, although some people do not like the texture. This tends to be the purest and freshest form of honey because little modification goes into it. A final approach is cut comb or chunk honey. This approach involves cut pieces of the honeycomb being placed in a jar of honey. A final area to consider with honey is processing. Processing can significantly alter honey in appearance, taste and nutritional components. One form of processing is filtering the honey extensively. Filtering honey like this removes many components of the honey, including the pollen. In some cases, diatomaceous earth is used as a way of absorbing some of the finer particles. The diatomaceous earth is then filtered out. Interestingly, the filtering process also impacts honey’s ability to crystallize. Because of this, crystallization in most types of honey can be an indication that they are not heavily filtered or processed. In contrast, raw honey producers will tend to use a straining process. The aim of straining is just to filter out some of the largest particles, including honeycomb, but leave the pollen in place. This also serves to keep most of the nutritional benefits of the honey in place. Strained honey will still crystallize as the components that promote crystallization are still in place. The second form of processing is creating creamed honey. Despite the name, creamed honey doesn’t actually have any cream in it. Instead, the term refers to the texture of the honey and how easy it is to spread. There are a number of different ways to make creamed honey. Some approaches involve little changes to the honey itself and preserve the nutrients while other approaches are much more dramatic. Creamed honey is created by controlling the crystallization process. 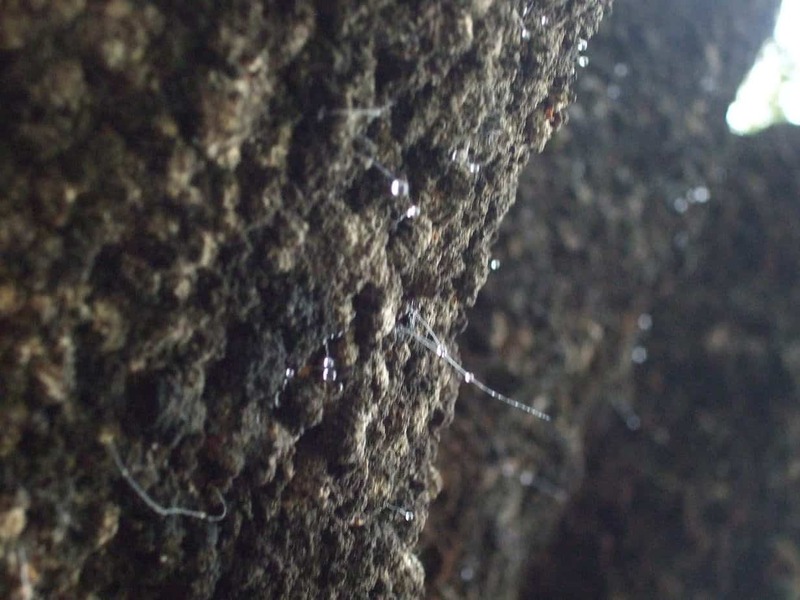 Doing so involves using starter crystals that were created through natural crystallization. These crystals are then ground and stirred into the honey at a constant temperature. This process means that creamed honey can be made while keeping the honey at a low temperature and preserving its health benefits. However, pasteurization is sometimes used as part of the creaming process, so some creamed honeys will be processed. Creamed honey is an interesting case. Many Americans feel that for honey to be natural it has to be in the liquid form. In fact, it’s pretty common for Americans to get concerned the moment any crystallization occurs in their honey. This is actually a somewhat unusual perspective, because in other parts of the world creamed honey is a very common product and people are used to crystallization because of this. As I mentioned before, creamed honey can be produced naturally without much processing or additives. However, creamed honey may also be produced by methods that do harm. In particular, pasteurization is often used to create creamed honey. This process can significantly change the natural compounds in honey and can decrease the potential health benefits of honey. This means that you only want to use creamed honey that hasn’t been pasteurized. The best way of doing this is to look for creamed honey that is labeled as raw or that is produced by companies that specialize in raw honey. Most companies will use similar methods across all of their products, regardless of whether it is creamed honey or not creamed. In the United States, honey is graded on the basis of optical density and color. This grading scale makes use of an optical density scale called the Pfund scale that is commonly used for honey. The grades on the scale range from 0 to above 114 mm, and the color standards range from water white all the way up to dark amber (28). The color and grade of honey isn’t an indication of the quality of the honey. Instead, it is largely an indication of the variety of honey and thus its flavor. 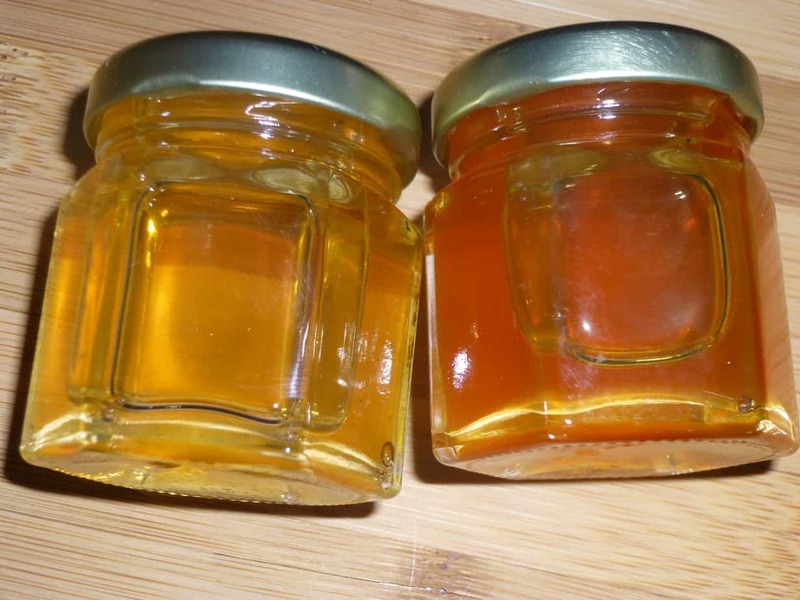 For example, manuka honey tends to be a very dark amber, while clover honey is a much lighter color. Another example is the honey in the image to the right. Both jars of honey are from Smiley Honey and are raw and unfiltered. The jar on the left is wildflower honey while the honey on the right is holly honey. As you can see, the both have different colors, and they also have different tastes. The wildflower honey is a multifloral honey, while the holly honey is a monofloral honey. For the particular batches that I had, the wildflower honey had a deeper and more complex taste, but as is often the case with honey, the taste will vary from batch to batch. As a general rule, lighter colored honey tends to have a milder flavor, while darker colored honey has a deeper and more intense flavor. Because of this, the lighter colored honey varieties are the best to choose if you are simply looking to sweeten with honey. 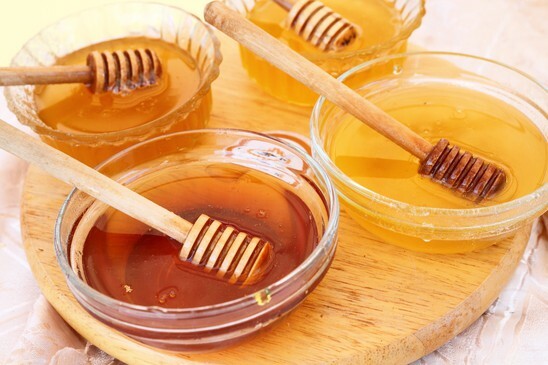 However, the darker colored honey varieties are fantastic if you are looking to add a richer flavor and can be used in a similar way to molasses or brown sugar. In general, darker honey also has more mineral content, which can mean that it is better for health. After all, one of the healthiest honey varieties is manuka, which is much darker than most other types of honey. Research has also confirmed that darker-colored honeys have a better chemical profile and appear to have more potential as therapeutic agents (29). There is also a voluntary grading approach that does take quality into account. This system ignores the color of the honey, and instead uses a range of factors to score honey as either A, B, C or substandard. The breakdown of the different grades can be seen below. It is important to note that grading standards vary across countries. So, if you have imported honey, the same grades may have different meanings. When it comes to honey, most research does suggest that raw honey offers significant health benefits. At the same time, manuka is particularly powerful in terms of health benefits, although kanuka and tualang honey are also significant. This would suggest that raw manuka honey is the best option for health. However, manuka does have quite a distinctive taste and not everybody finds that taste appealing. Plus, it is also pretty expensive. So, many people may end up turning to different options. In general, the most significant approach is to simply look for honey from a reliable company, preferably one that actually provides information about how the honey is made. Often the website for companies can be a good place to start, as some companies provide detailed information about their processes. I would also recommend looking for honey where the floral variety is specified (like orange blossom or holly). Making this type of honey tends to require more control, which also suggests that the quality will be better. You may also find yourself trying out different types of honey before you settle on one that you like. After all, the flavor of honey can differ substantially depending on the flowers that the honey came from. The site Honey Colony offers extra insight into the types of honey and differences in the way that you might use them. If you've tried monofloral honey , what is your favorite?